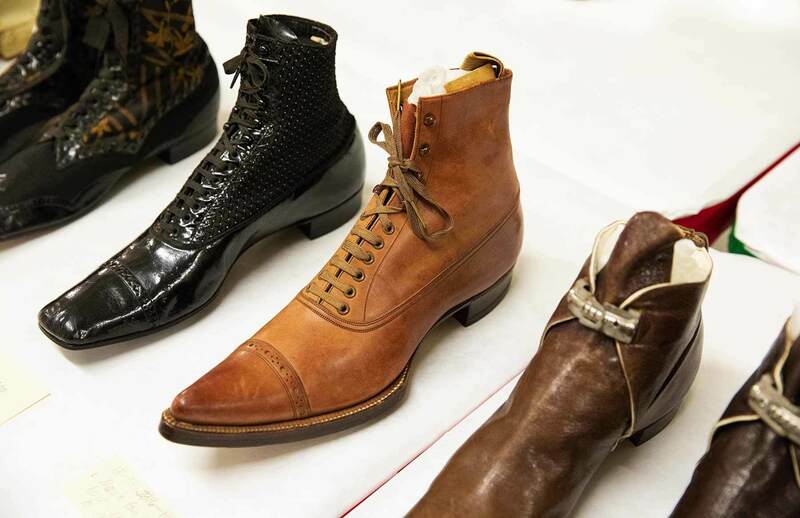 With more than 4,000 pairs in the PEM collection, our shoe collection is one of the largest and most important in the United States. 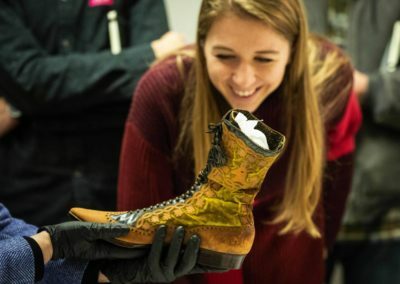 A team from the Boston-based shoe company New Balance recently visited the museum to study this collection and took a keen interest in everything from a pair of early running shoes to 20th century jeweled heels. Last October, I participated in Mass Fashion: Past, Present, and Future, a joint public symposium, hosted by the Museum of Fine Arts, Boston, and organized by Mass Fashion, a museum collaboration celebrating the culture of fashion in Massachusetts. PEM is one of eight Mass Fashion partners that have offered exhibitions, programs and events related to fashion in 2018-2019. During a session on technology, I presented Innovation and Tradition: Making Shoes in Massachusetts, 1800-1900, tracing the rise of the Massachusetts shoe industry from small scale, hand-made footwear production to a global leader in industrialized shoe manufacturing. The session, chaired by my PEM colleague Petra Slinkard, the Nancy B. Putnam Curator of Fashion and Textiles, also featured presentations by the New Balance Innovation Studio and Chris Donovan Footwear. A dynamic mix of speakers and sessions highlighted the significance of Massachusetts in the history of textile, apparel and accessories industries in the U.S. and the ongoing highly creative and innovative work in fashion design, technology and production happening in Boston and around Massachusetts today. 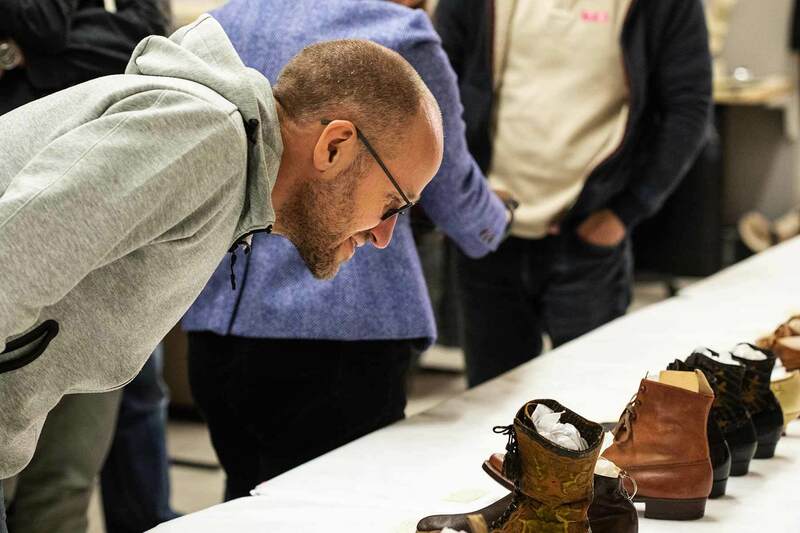 Several weeks later, Catherine Headrick from the New Balance materials team and Chris Wawrousek of the New Balance Innovation Studio contacted me about setting up a research appointment for the company’s design teams to see historic shoes in the museum’s collection. In response, we created a list of shoes that aligned with their interests: historic footwear made in Massachusetts and the wider U.S., shoes made from unusual materials or construction techniques and athletic and sporting shoes. They settled on a list of over 50 examples, which PEM’s collections management staff brought out of storage. Lye-Tapley Shoe Shop, ©2014 Peabody Essex Museum, Photography by Allison White. Arriving for an afternoon appointment in late November, the New Balance team joined our staff for a quick lunch before heading to museum storage. On the way, the group stopped for a look at the Lye-Tapley Shoe Shop, a small historic building in PEM’s Essex Block Neighborhood. 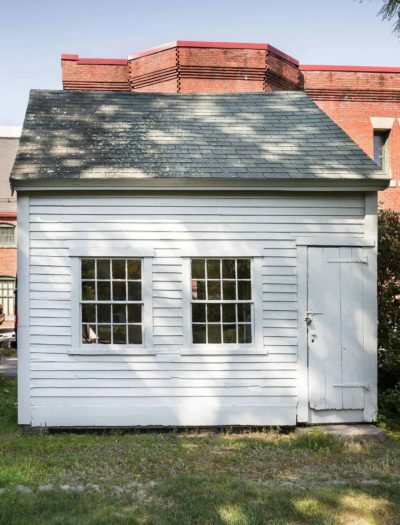 Originally located in Lynn, Massachusetts, the wooden building, circa 1830, was the workplace for several shoe makers who made shoes entirely by hand in the pre-industrial era. Peabody Essex Museum, Photography by Bob Packert. 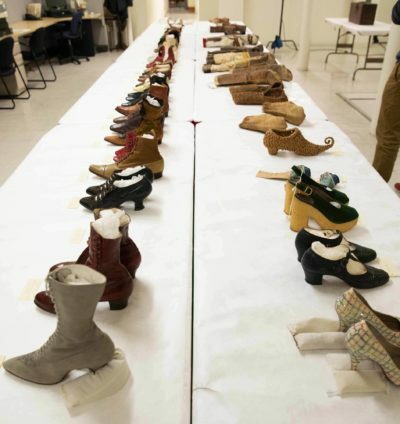 In a nearby building, collections management staff arranged over 50 shoes and boots in two long rows on tables set up in a workroom adjacent to museum storage. 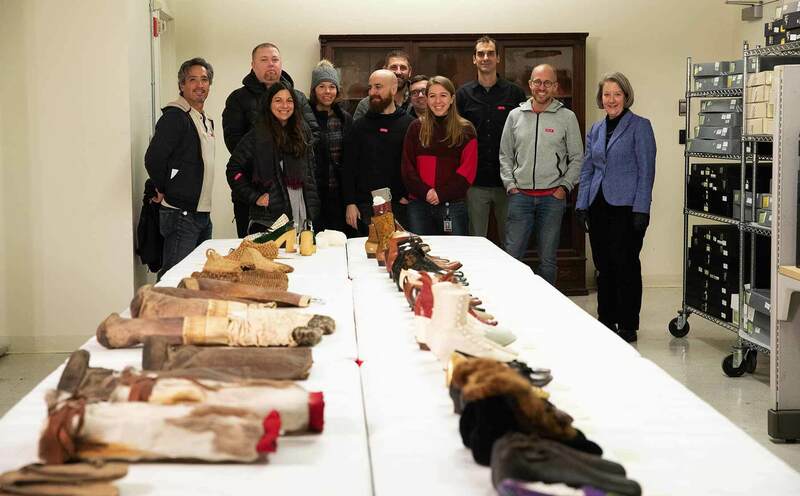 New Balance staff asked lots of questions and carefully studied the shoes in detail, taking photos, while curatorial staff provided information from cataloging records and research. 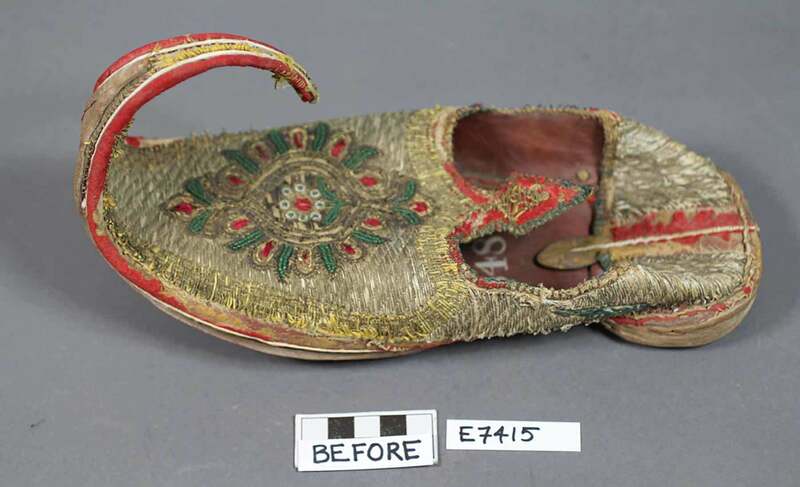 One of the first shoes acquired by PEM -- a man’s shoe from Persia (now Iran) with a long, up-turned toe given by mariner Johnson Briggs to the East India Marine Society in 1803. The number 348 inside the shoe indicates that it was the 348th object added the Society’s “museum of natural and artificial curiosities.” Several mariners also donated shoes from Turkey, Africa, Japan and Arabia that were around the same time that varied in style and materials from those worn in Salem at the time. The S.T.A. Ritchings Company of Lynn, Massachusetts used a wooden foot-shaped form called a “last” to create custom running shoes under the brand name of Star Streamline Athletic shoes in the mid-20th century, one of the first companies to specialize in athletic shoes for runners. The company supplied shoes for runners who competed in the Boston Marathon. The firm was later run by Osborne K. Winslow who donated a collection of running shoes, tools and components, and archival records to the museum. 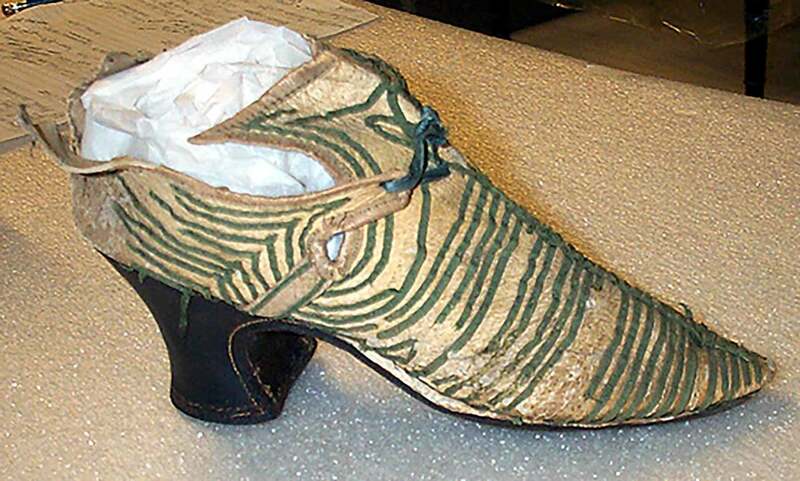 Another highlight of the collection includes a late 17th-century woman’s shoe made of beige pigskin ornamented with narrow green wool tape, applied in a strap work pattern likely imported from England. 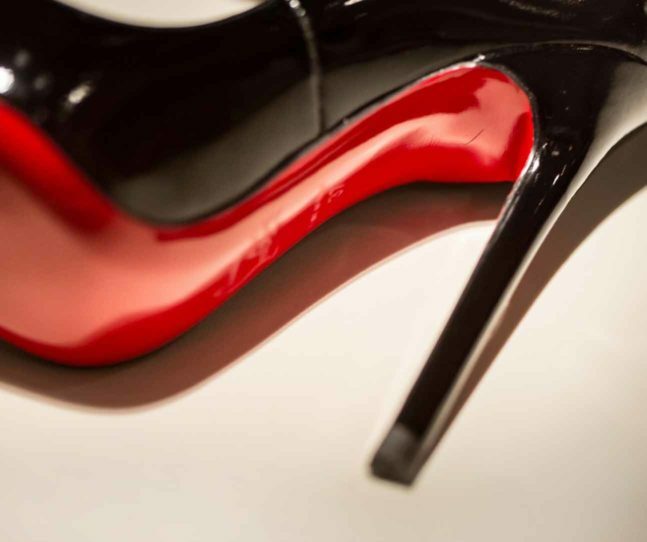 This shoe features a dark red heel first popularized by King Louis XIV of France who granted permission to wear this style of heel to favored courtiers, a fashion that quickly spread to royal courts in Europe. 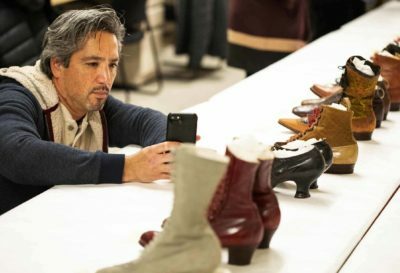 A group of shoes that were displayed at the first World’s Fairs in the U.S. in 1876 and 1893 demonstrated the exceptional designs, materials and construction techniques used by companies working in Lynn and Haverhill, Massachusetts and other U.S. manufacturers at the time. Goodrich & Porter and Hazen B. Goodrich companies, women’s shoes, 1876 and 1893, Haverhill, Massachusetts; leather, silk, and beads; gift of the Emhart Corporation, 1978; 134356. 2217, 134356.2286, 134356.2255. Photo ©Peabody Essex Museum, Salem, MA. Photography by Kathy Tarantola. A pair of rubber overshoes, brought from Para, Brazil to Boston around 1825, represent an early type of waterproof footwear. 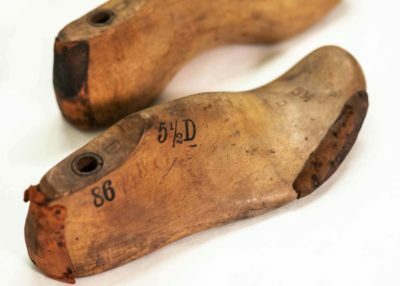 Predating Charles Goodyear’s invention of vulcanized rubber, these early rubber shoes became sticky in hot weather and brittle at cold temperatures. The surface is inscribed with decorative quatrefoils and pinwheels. 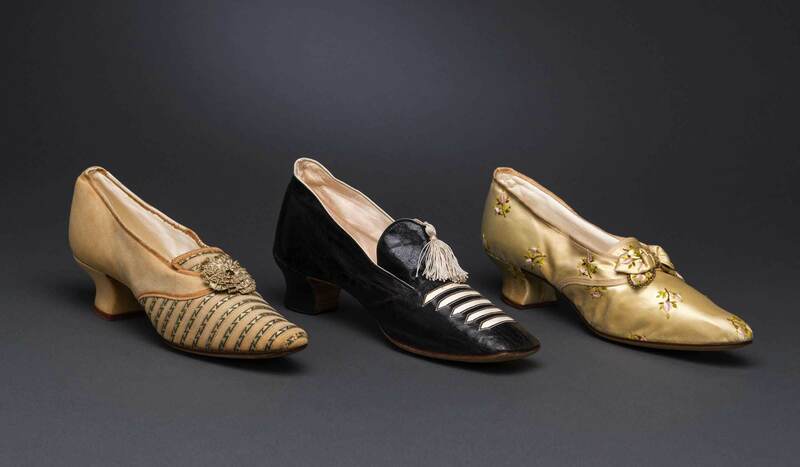 Shoes, about 1825, Brazil, rubber, gift of Mrs. Solomon P. Stratton, 1936, 122852. The New Balance design team carefully studied the design and construction techniques of the shoes. The designers noticed and commented on many details such as fine stitching, hand-pegged or nailed soles and heels, stamped and ornamented soles, beautiful leathers and finishes, unusual fasteners and ornamentation. They were also interested in shoe patterns and other materials related to footwear design and fabrication. the team walked away inspired and it puts our present day efforts in a much broader context. 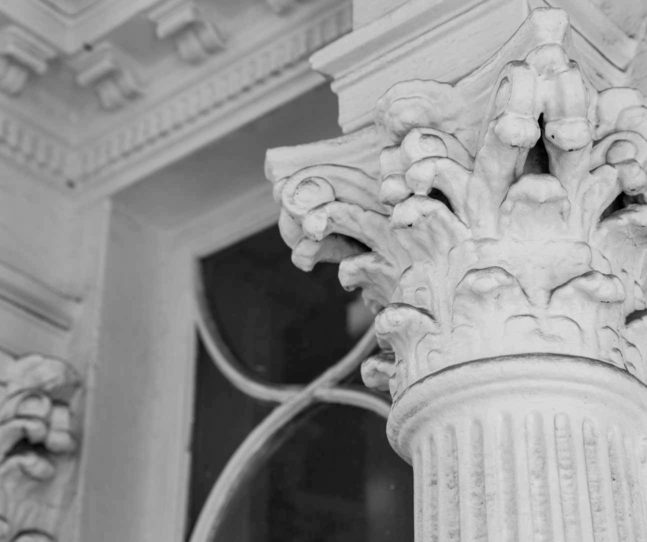 The consistent craftsmanship of the work over such a long time period is incredible to appreciate.” Catherine Headrick added, “We were blown away by the variety of styles and really enjoyed hearing about your research. It was a great learning and inspirational visit for our design and innovation teams. 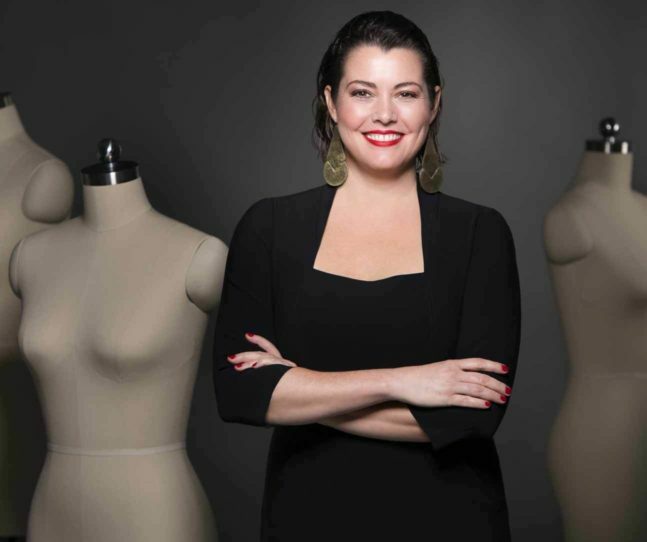 Editor’s Note: Other Mass Fashion participating partners include: Concord Museum, Fuller Craft Museum, Historic New England, Massachusetts Historical Society, Museum of Fine Arts of Boston, Old Sturbridge Village and The Trustees of Reservations.